Dr. Devina Shah grew up in New Jersey and completed her undergraduate degree at Washington University in St. Louis with a Bachelor of Science in Business Administration. She went on to earn her DMD at Tufts School of Dental Medicine. During dental school, she volunteered on a dental service trip to the Dominican Republic, where she provided free dental services to impoverished children. For the past eight years, she has also participated in Give Kids a Smile, a national charity event providing children with free dental care in St. Louis and Boston. During her final year of dental school, Dr. Shah was the recipient of the Jack and Anne Rubin Senior Prize Award in Pediatric Dentistry, an award given to a student who had displayed exceptional outreach to the community, dedicated service to underserved populations, and the intention to pursue pediatric dentistry as a career. Dr. Shah continued her advanced academic endeavors at Tufts University, where she earned a Certificate in Pediatric Dentistry. An active member of the American Dental Association, American Academy of Pediatric Dentistry, and the Massachusetts Dental Society, Dr. Shah is also a Board Candidate with the American Academy of Pediatric Dentistry. 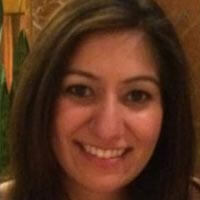 In her free time, Dr. Shah enjoys spending time with her friends and family, traveling, and baking.